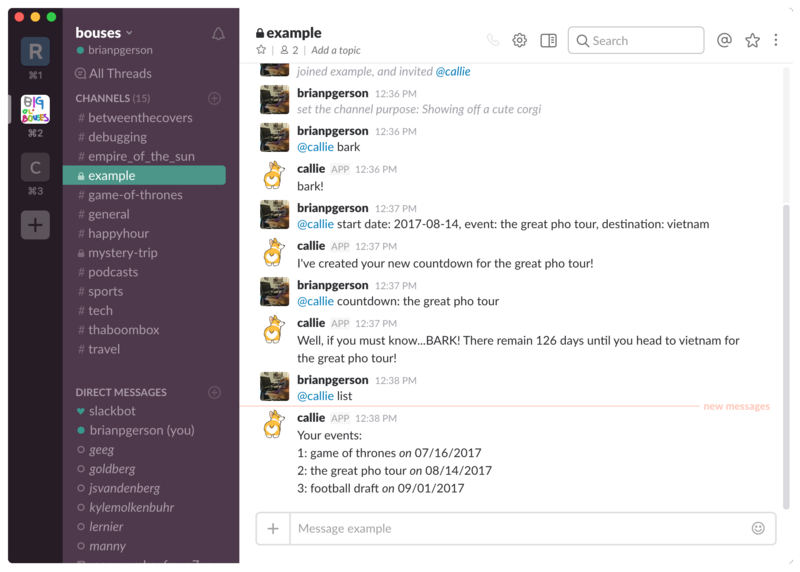 a countdown bot for Slack. 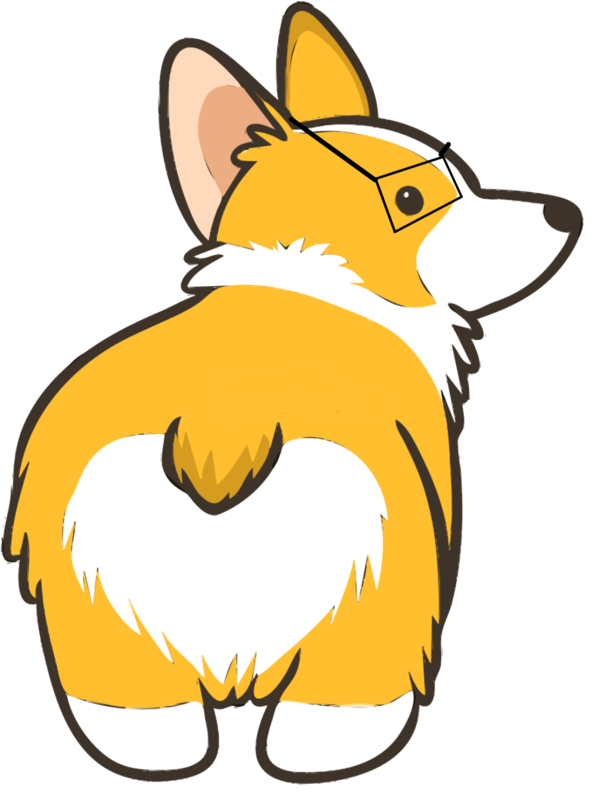 Callie the Calendar Corgi keeps track of events, deadlines, and more for your team with a few simple commands. Arf! UPDATES: Callie was last updated on February 11th, 2018. If you are interested in scalability issues re: slackbots, feel free to read about the details here! This is a one-man side project, so I appreciate the folks who have reached out via email to let me know when they've encountered any issues or bugs. Please continue to do so, and I'll work to keep Callie as consistent and reliable as possible. Maintaining a slack app for thousands of users is, unsurprisingly, a decent amount of work, so if you use Callie and enjoy the experience, please consider making a small donation to support free software... Callie and I appreciate it! Just a few commands gives Callie all she needs to keep you and your team informed of upcoming events, trips, or deadlines. Let Callie give you weekly or daily updates on the countdown, and update your settings whenever you like. That's what we're all here for, really. A cute dog that knows when your stuff is coming up. Right? 5. Donate a Few Barks...er...Bucks! It'll keep the lights on for Callie. Thanks!